The concept of Citizen Cycling focuses on one central idea: people use bikes to get places. Bicycles are a form of transportation, and like any transport mode, they need to fit into the lives of the people who use them. What good is a bus if the schedule doesn’t work? What good is a car if it’s too expensive to drive it? What good is a bicycle if I have to change my life to use it? There is no specific dress code to ride a bike. While some people choose Lycra® and logos, it is perfectly acceptable to cycle in coat and tie or a dress and high heels. The point of riding a bike is to get to your final destination, and to hopefully have a pleasant time en route. 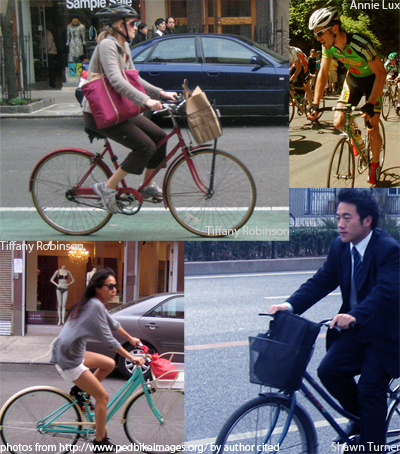 Around the world, millions of people are riding bicycles as transportation that makes sense in the context of their own lives, and sites like Cycle Chic or Utility Cyling, and magazines like Momentum or Urban Velo try to highlight the existence of Citizen Cyclists – people who enjoy riding their bikes as a part of their life, to get them and their “stuff” from point A to point B. We have no ill will toward those who like to adopt a specific style on their bike: there’s a place and purpose for the high tech materials and distinctive fitness look associated with some cycling wear. 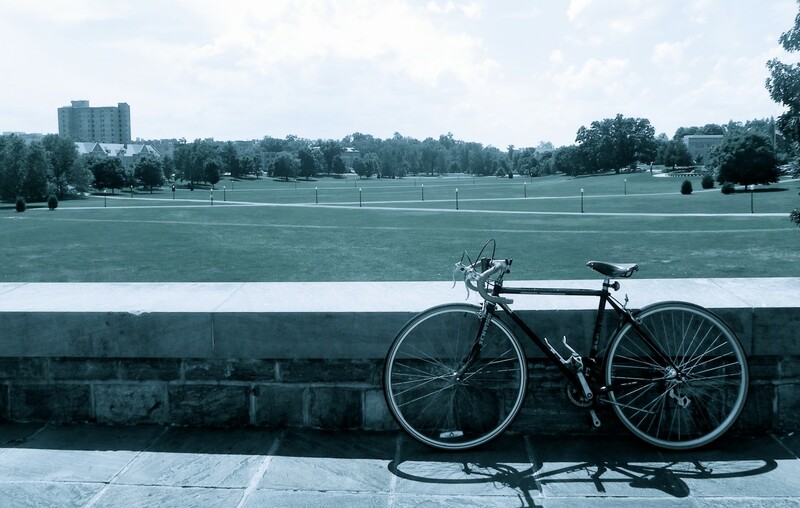 However, while travelling around town, heading to the store for a few essentials, or getting from one side of the Drillfield to the other, any dress code is probably a bike-appropriate dress code.